The choice to move to a Florida retirement community is based on a variety of factors, one of which is often downsizing. Empty nesters realize that maintaining a large home cuts into time they’d rather be embracing hobbies, meeting up with friends, or exploring their town or the world! Choosing a community like Lake Ashton doesn’t even mean that much of a reduction, because of all the social spaces, fitness centers and other amenities right in the community. You no longer need as much space to live your best life. When you do choose to downsize, it’s an excellent time to really go through what you own and either give some items to your children now if they really want them, sell off other items that you don’t really feel attached to or need, and donate, or simply toss, anything you know you can and should part with before moving to your new home. By streamlining your possessions, you make it easier for yourself now and your children in the future. Still, that doesn’t mean you have to live spartanly. If you have truly comfortable furniture pieces that are in great shape, keep them. A good sofa and matching chairs, side tables, and lamps will always be useful. If you already have furniture that serves multiple purposes, such as ottomans that can be used as a coffee table, for storage, or for extra seating, keep those pieces, as well. As with the ottoman, consider other pieces of furniture that can serve multiple purposes. Choose tall bookcases that store not only books, but can also be used with attractive baskets and boxes for extra storage, and also used to display trinkets and photos. Tall items like this provide plenty of storage without taking up excessive floor space. Stacking tables, as well as furnishing on wheels, such as coffee tables or swing-out desks also make it easy to pull items out when necessary, without taking up too much space the rest of time. Symmetry, lighter, neutral colors, glass-tops and mirrors all add to the sense of space in any room. Try to avoid heavy, dark pieces unless it’s one simple statement piece. That doesn’t mean you have to have a dull living space. Choose pops of brighter, stand-out colors for accents and accessories or choose one big statement artwork. The basic neutrals allow you to change your accent colors and pieces more easily and more affordably, letting you update your rooms more often. Make the most of corners, whether it’s a cozy reading nook or special corner shelving to display family pictures and other items that have real meaning for you. Even little breakfast or bistro tables can be set up in a sunny corner to give you a nice place to relax or even catch up with friends online if you use the table as a desk for your laptop. Look for flexibility in your furnishings and be honest about what you can live without and what you must keep. 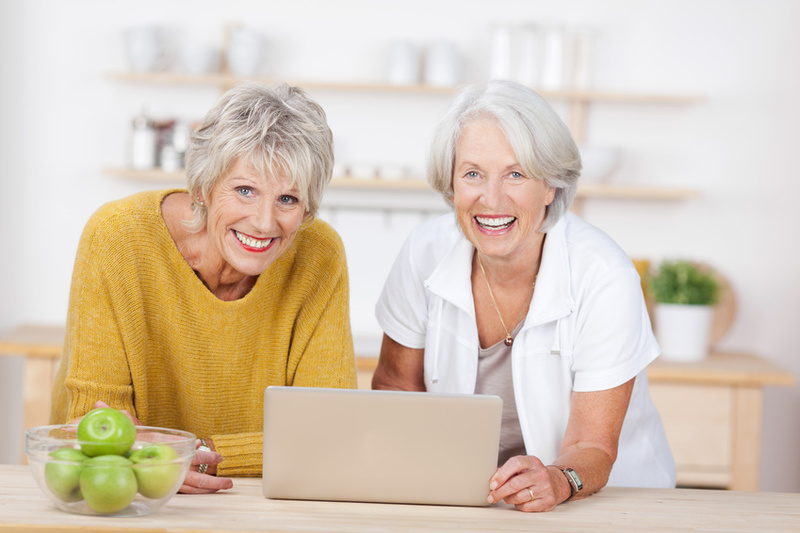 Scaling back before you move in is the best way to start this great new phase of your life in a Florida retirement community. With all of the activities, travel, and new friends, you’ll be happy to have fewer knicknacks to dust and daily maintenance to do.